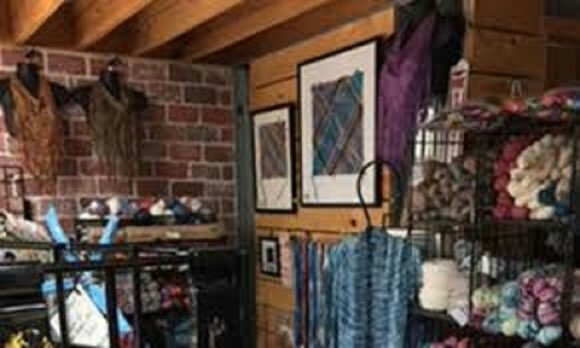 The Coastal Textile Center at Clara's Loom is a cheery learning center for classes in various weaving techniques and fee-based studio for experienced textile artists. Visitors to this destination for textile lovers enjoy the eclectic variety of yarns, fibers, travel looms and drop spindles for sale in the retail sector, Clara's Loom. Fiber artist Celia Dionne, the owner, maintains her private studio on the premises. She sells her handwoven shawls, scarves, cord necklaces and framed Alpha Omega art series here.